Spartan Races have become a worldwide phenomenon. Weekend warriors and elite, endurance athletes go into battle on military-style obstacle courses, mostly just for the fun of it. 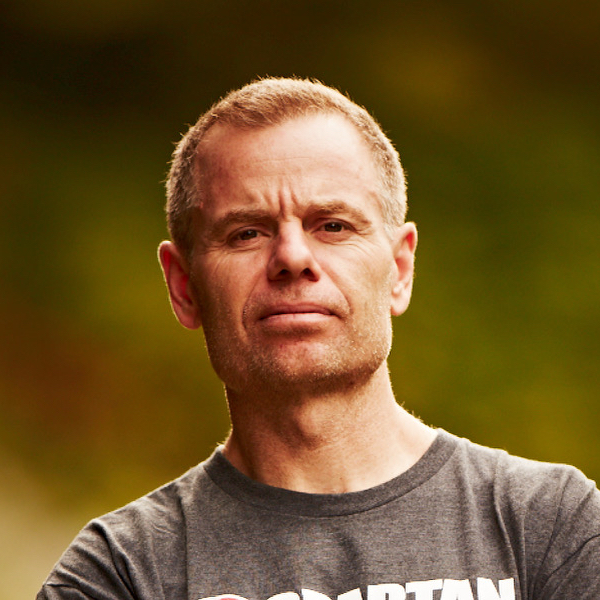 The Spartan Race is the brainchild of Joe De Sena, a former Wall Street trader who was so bothered by his sedentary lifestyle, that he gave up his lucrative career to spend more time outside. He quickly became addicted to adventure, and activity that worked his body to exhaustion. An entrepreneur from an early age, Joe made good money from his desk job, but he always yearned for a life of physical challenges. After competing in ironman triathlons and other ultra endurance events he created the Death Race followed by the Spartan Race, an event that is more accessible to the masses. After a difficult start, the race has grown into a global challenge, across 40 counties, with millions taking part every year. Joe is the author of Spartan Up! : A Take-No-Prisoners Guide to Overcoming Obstacles and Achieving Peak Performance in Life- and he hosts the Spartan Up podcast. In this LLAMA podcast interview, with Peter Bowes, Joe explains why he believes humans need to sweat and challenge themselves. He also discusses the mental and physical benefits of enduring a reasonable amount of pain, and why it's so important to step outside of your comfort zone.